but in reality less than 700 exist! This painting was RETIRED with only about 700 ever issued. After it was retired, the demand was enormous, but no more were available. Lots of sports fans and only RARELY on the market. RELEASED IN ONLY ONE EDITION! There is NO Artist Proof, NO Gallery Proof, NO Publisher Proof or any other editions of any kind! 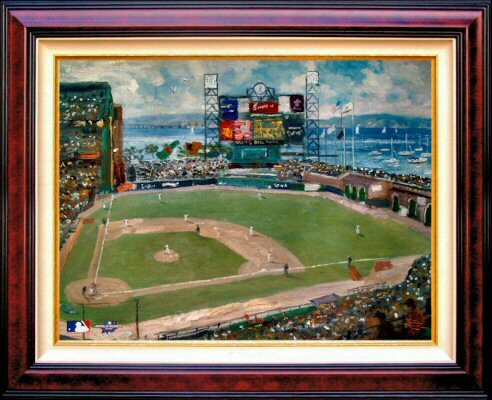 Thomas Kinkade, the "Painter of Light," was invited by Major League Baseball to capture the 2002 World Series on canvas. 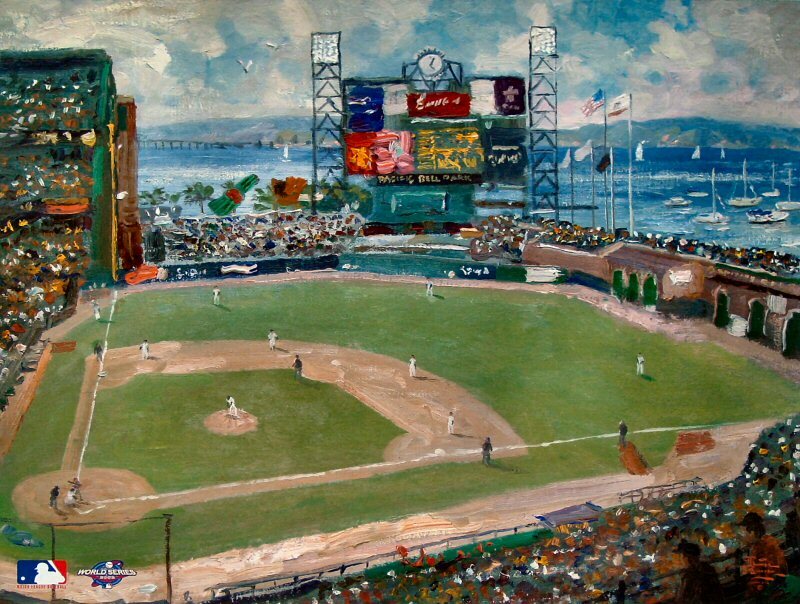 Kinkade attended game three at San Francisco on Sunday, October 22, 2002 when he painted the action first hand from Pacific Bell Park, home of the National League Champions, San Francisco Giants. "World Series 2002, National League Champions, San Francisco Giants ~~Thomas Kinkade"